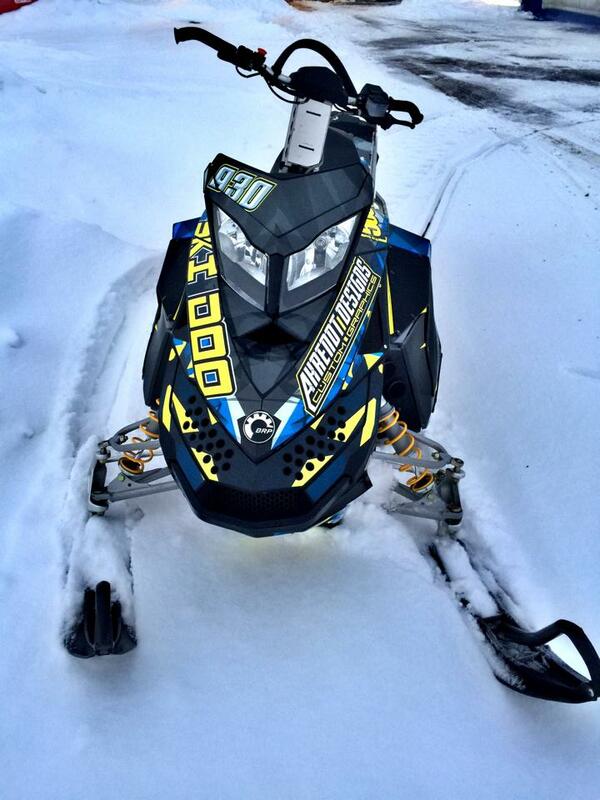 We offer a variety of new and original sled wrap designs every year, as well as a custom kit design option. 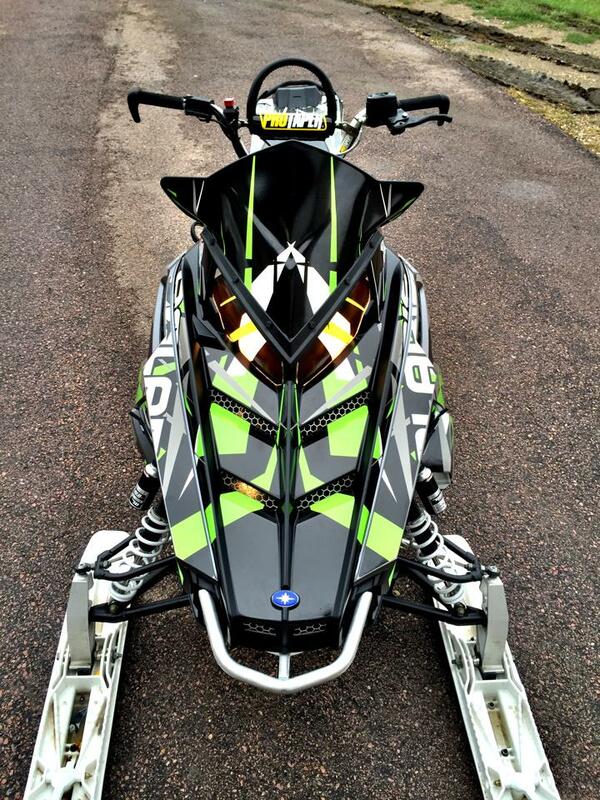 We want you to have the best looking sled out there. We'll work with you to create the sled that turns heads and fits you best. Let's start designing! Select Make/Model/Size of your sled. 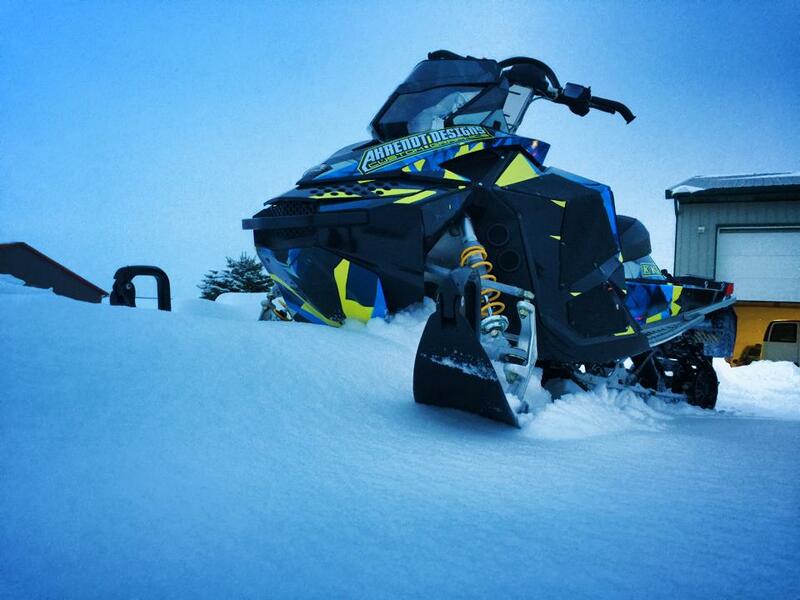 Tell us what logos you may want on the sled. Any logo besides major company logos will have to be sent to us in a print-ready format (.Ai .EPS .PDF). There is a $30 charge per logo for redesigning for print. Not sure what you want yet?